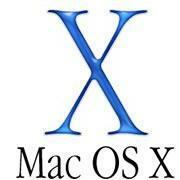 Mac OS X defaults to a predefined set system font size for all onscreen text and user interface elements, and while many users will find the default text size to be sufficient, some users may wish the system font size was larger, and some may wish the Mac system text size was smaller. It turns out that OS X may not offer a method of directly changing all system fonts, but instead Mac users can adjust their screen to increase or decrease the size of the system font, onscreen text, and everything else seen on screen as well. To change the system text size this way, we’ll be changing the screen resolution of the Mac display itself. In some cases, this may mean running on a non-native scaled resolution, which tends to look best on Retina displays. There’s a trade-off with this approach in that you lose or gain screen real estate (space for windows and stuff on the display) in order to increase or decrease the size of text and interface elements. The example images below will help to show this, but it’s better experienced yourself on your own Mac and display. For Retina Display Macs: Next to the “Resolution” section, choose “Scaled” Select “Larger Text” from the options available, you will see a pop-up message saying “Are you sure you want to switch to this scaled resolution? When using this scaled resolution, some applications may not fit entirely on screen.” so choose “OK” to confirm that you wish to use the larger text size scaled resolution For Non-Retina Macs & External Displays: Next to the “Resolution” section, choose “Scaled” Select a smaller screen resolution from the list of available resolutions, this may include 1080p, 1080i, 720p, 480p, or direct resolutions like 1600 x 900, 1024 x 768, 800 x 600, 640 x 480 – to make the onscreen text size and other onscreen elements larger aim for a smaller number, such as 720p or 1024×768 When satisfied with the size of the onscreen element size, font size, and text size, close out of System Preferences and use the Mac as usual The “Larger Text” option for Retina displays is similar to 1024×768 on a non-Retina display, and will dramatically increase the size of onscreen text and interface elements for most Mac laptops like the MacBook and MacBook Pro, as well as iMac and other high resolution displays. Setting the screen resolution to 1024×768 or larger on a non-Retina display will also dramatically increase the size of onscreen fonts and interface elements. The animated GIF below demonstrates the four Retina settings being cycled between, with Larger Text being the first and displaying as the biggest of the group. The Larger Text scaled display resolution option is great for users who have difficulty reading or interacting with onscreen elements with MacBook Pro and iMac displays, but it’s also incredibly helpful to use when any Mac is connected to a TV screen and viewed at a distance, since elements and interactions will be larger and easier to read at the larger size. The other sizes, such as “More Space”, allow for considerably more screen real estate but at the expense of much smaller fonts and interactive interface elements. This trade-off largely depends on the user. What do the Scaled Display Sizes Look Like? For Macs with secondary screens or an external display, you can show all possible display resolutions for an external screen to reveal other screen resolutions which may otherwise be hidden from the OS X default options. Some may consider this a workaround, but aside from individually adjusting the font size in various applications, this is the only way to universally impact all onscreen text and font sizes on the Mac. It’s possible Apple will introduce greater text size and font size controls in future versions of OS X, but in the meantime, adjusting the screen resolution is the only way to universally change the size of things seen on the display of any Mac. This can be a fun use for your Live Photos converted to GIFs, which is what I have done in this piece with a fireplace gif that was created from a Live Photo. Of course if you have Gif Brewerythan you can use other masterful animated GIF creations of your own doing as well, otherwise a quick Google Image search for “animated gif (item)” or visit to a site like Giphy should find you something to meet your GIF needs. Why can’t Safari sort bookmarks alphabetically? Wouldn’t it be great if you could sort bookmarks alphabetically in Safari? There has never been a way to do this in Safari itself, but there is a way, one that’s been around for donkeys’ years. The process is slightly different now. Start by displaying your bookmarks in Safari (Bookmarks > Show Bookmarks). Click the Edit button at the bottom of the list. Edit your Safari bookmarks to be able to drag them to the Finder. Drag them all to a folder in the Finder; make sure you don’t select Bookmarks Menu, or you won’t be able to drag the bookmarks. Display that folder in List view (View > As List, in the Finder), and then click the Name header to sort the files by name. Next, move up a level in the Finder (press Command-up-arrow), and drag that folder onto the bookmark list in Safari. All your bookmarks will be added to the Bookmarks list, in that folder, You can delete the originals, then move the bookmarks out of the folder to the Bookmarks Menu, or to your Favorites. This is a lot of work for something that should be pretty simple. You can do this easily in other browsers. For example, in Chrome, if you display your bookmarks and click the Organize menu, you can easily sort them alphabetically (Reorder by title). Chrome lets you sort bookmarks alphabetically. Firefox gives you lots of sort options for your bookmarks. Fortunately, there’s an app for this: the free SafariSort, which can sort your bookmarks alphabetically, or in alphabetical order with all your bookmark folders on top of the list. It’s fast and simple, and if you like having bookmarks in order, you can run it regularly. SafariSort is a simple app that sorts your bookmarks alphabetically. Wanting to sort bookmarks alphabetically doesn’t seem like an odd feature request; it’s actually a great way to cull duplicate bookmarks. In fact, Apple should allow Safari to display bookmarks in date order as well. If you add bookmarks to folders, you won’t see all your bookmarks by date, and having a full list in order can be a good way to find what you’re looking for. No matter what, it would be nice if Safari offered some more ways to view bookmarks, as other browsers do. OS X 10.11.5 is out! Apple released the fifth update for OS X El Capitan. When OS X won't let you unmount a flash drive or external hard drive, here's what you can do the drive won’t unmount no matter what, and I get the dreaded “The disk wasn’t ejected because one or more programs may be using it” or “The volume cannot be ejected because it’s currently in use” messages. He’s had this happen routinely with a Mac mini using flash drives and external hard disk drives (HDDs). I’ve definitely seen some of this behavior, though it’s not routine. If OS X “understands” why it can’t unmount a drive, starting a few releases ago, it will tell you. But the dialogs Kurt is seeing aren’t the informative kind that tell you which app is involved. Failing that, logging out of your OS X account and back in should clear the state, allowing you to unmount it. And if that doesn’t work, a full restart should help. I’ve discovered in El Capitan, unfortunately, that even in 10.11.4 it retains a few bugs that degrade the experience until rebooted, notably the “items disappear from my sidebar” bug. I documented it back in November 2015, and subsequent release of El Capitan (10.11.2, .3, and .4) seemed to reduce the frequency with which it occurs. But I have heard from readers that they are still seeing this disappearance as well. Because some sidebar items derive from Spotlight searches, it’s possible that Spotlight is the culprit behind both disk unmount and the temporary loss of sidebar items. The “list all open files” (lsof) command combined with grep to filter lets you see all open files on attached drives. The lsof command is short for “list open files,” and sending the results via a pipe | to the grep pattern-recognition command and using /Volumes as the match shows only open files related to items on externally mounted drives. You can look through this list of files, and see if there’s a frozen program or something you need to uninstall that you didn’t realize was active. The troubleshooting steps covered here apply to any and all Macs using nearly any version of Mac OS X, whether it’s on a MacBook, MacBook Pro, iMac, Mac Mini, Air, or whatever else you’re using. Note you’re going not be removing wireless networking preferences as part of this sequence, that alone can reliably resolve stubbornly problematic wi-fi issues, but you will lose customizations to wireless settings in the process, so if you set custom DNS or specific DHCP or TCP/IP settings, be prepared to make those changes again. It’s often only a matter of time before Mac users wind up seeing the dreaded “startup disk almost full” warning message in Mac OS X, which often leads to a frantic dash around the Downloads folder as users trash unnecessary files to attempt to free up disk space. While there’s nothing wrong with going on a manual mission of tracking down where your disk storage vanished to, there are an entire category of disk space analyzer apps available which make the job easier, offering a visual experience that is quickly scannable and actionable. We’ll cover three of the best and most popular disk space analysis tools available for the Mac, each of which is either free or offers a free trial version to give a good test run with. A big thing to remember with using these disk analyzer apps is that if you shouldn’t delete anything without discretion, as they sweep the entire drive and inevitably display system files, system folders, and other necessary components of Mac OS X and apps, along with personal documents and accumulated cruft. It’s a good idea to back up the Mac with Time Machine before using these apps if you’re planning on performing some mass file removal, it’s always better to be safe than sorry and lose files or have to reinstall Mac OS X if you deleted critical system files willy-nilly. OmniDiskSweeper is great and the interface is quite similar to using the Finder in Column view, making it very easy to navigate to large files and folders throughout the file system hierarchy. The files are shown in descending order by size, so it’s very easy to figure out what’s eating up storage space. OmniDiskSweeper has long been one of my favorite free utilities available for the Mac, and I use it often for my own computer and when trying to figure out what’s eating the disk space of other Macs I may encounter. We have discussed using OmniDiskSweeper before here on multiple occasions, it’s a great tool. Disk Inventory X has been around on the Mac for quite some time, it is an oldie but goodie. Though the interface could use some updating, the functionality remains high and the app works great for discovering large blocks of data (for example, a gazillion photos or zip archives). Perhaps the only issue is that in modern versions of Mac OS X, files can be assigned to the app they open with rather than their file type, which may lead to some confusion. Nonetheless, Disk Inventory X is free too, so if you decide it’s not your cup of tea you’re out nothing but a few mb of bandwidth. A significant perk of DiskInventoryX having been around for ages is that it’s widely supported on much earlier versions of Mac OS X, so if you’re working on an older Mac with earlier system software, this may be the solution you’re looking for. If you don’t want to download any third party utilities, or perhaps you can’t for whatever reason, the Mac search function within the Finder is able to find large files in Mac OS X too. You’ll just need to set a minimum file size to look for, and away it goes. The Finder search function works reasonably well for this purpose, but for many Mac users they will find one of the above third party utilities to be easier to quickly scan for large groups of files on a drive with. Know of any other great utilities to analyze disk storage space and files on a Mac? Let us know in the comments!